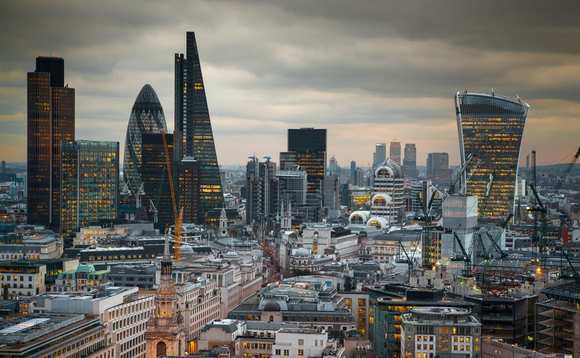 Job vacancies in London's finance industry have halved in two years as Brexit-related uncertainty has left financial services firms and job seekers unwilling and unable to take risks, according to Morgan McKinley's London Employment Monitor. The report found that Brexit confusion led to reduced risk appetite, which resulted in available roles decreasing from 24,105 roles in Q1 2017 to 11,009 in Q1 2019. Vacancies dropped 9% year-on-year, from 16,935 in Q1 2018. Morgan McKinley also noted a 15% decrease in the number of professionals seeking jobs year-on-year, currently less than half the 32,389 recorded in Q1 2017. The inability of the government to reach consensus on a Brexit deal has crushed confidence among City employers"
Hakan Enver, managing director at Morgan McKinley financial services said, "We closed 2018 with a dramatically poor jobs market, because it's become virtually impossible for businesses to grow here, so we started 2019 on the back foot. We have under half the jobs and under half the job seekers we had at this time in 2017. "The inability of the government to reach consensus on a Brexit deal has crushed confidence among City employers. Even with all the uncertainty of the last few years, there was always an assumption that come 29th March 2019, we would have some answers. Yet here we are, still waiting. "With the Brexit deadline having been extended till the 31 October, the stress on businesses is showing no sign of letting up. The government had over two years to do its homework and complete the assignment. Right before the deadline, they finally decide to try to work with the opposition to protect the people, instead of their own political power? "They didn't do the homework, they didn't complete the assignment and now they're asking for one extension after the other as jobs continue to flow out of London with Dublin being by far the biggest beneficiary, followed by Luxembourg, Paris, Frankfurt, and Amsterdam. It's astonishing." "For the bigger banks, 29th March was the deadline - there are no extensions. They have rolled out their Brexit plans and are deftly deploying staff and other resources to key EU locations. It's the smaller firms that are now being hit hardest, as they have fewer resources with which to plan and adapt." The figures from Morgan McKinley's monitor corresponded to those from other groups including the PMI survey by IHS Markit and BDO's Business Trends report. Research in March found that UK financial services had already shifted £1trn of assets out of the UK to Europe, and around 7,000 jobs had been relocated to the continent.